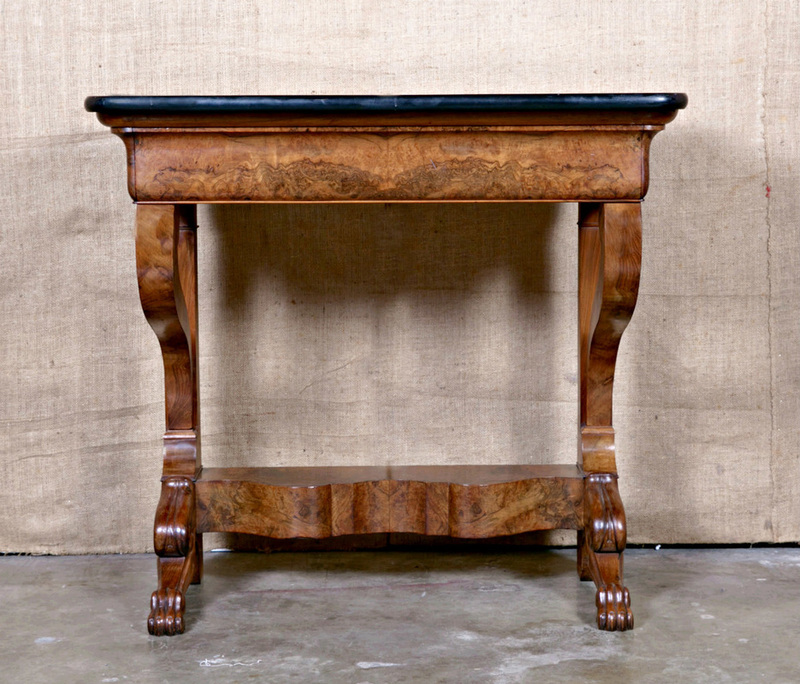 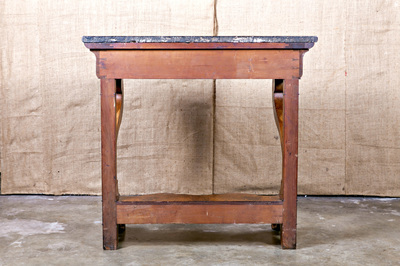 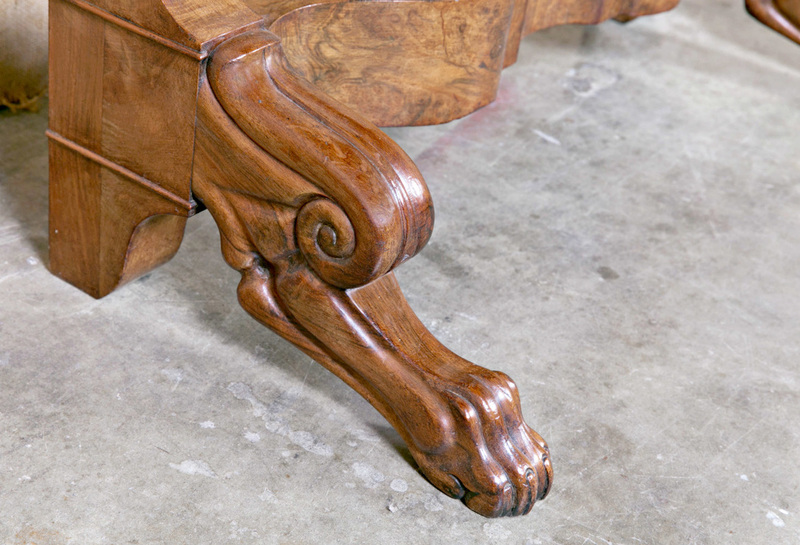 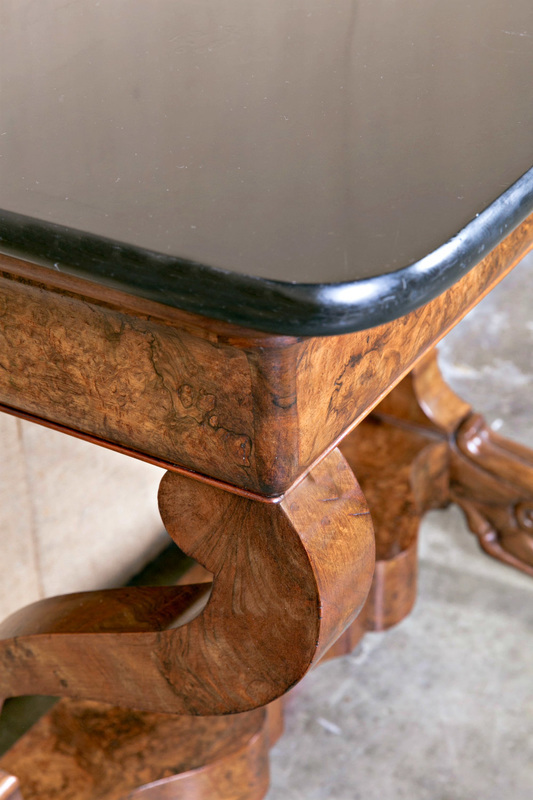 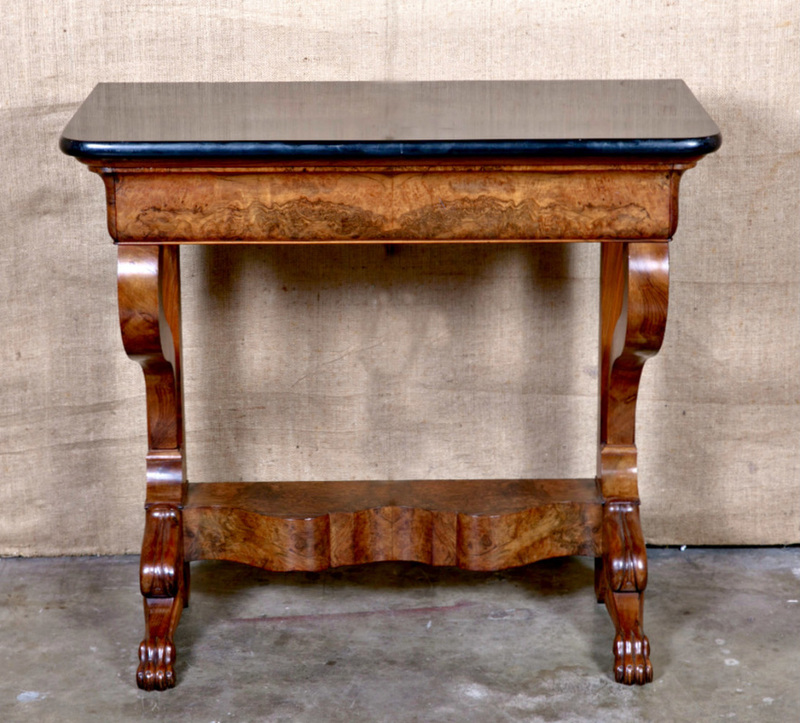 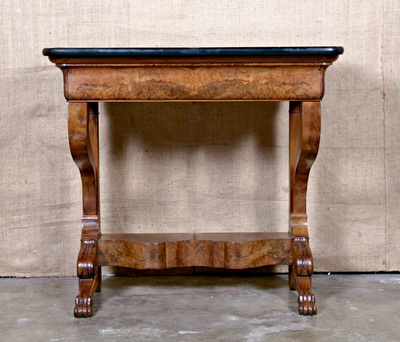 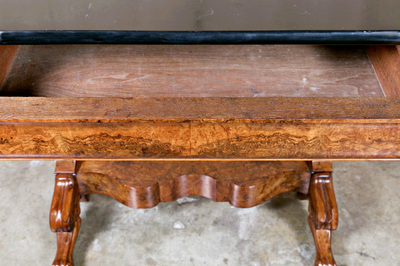 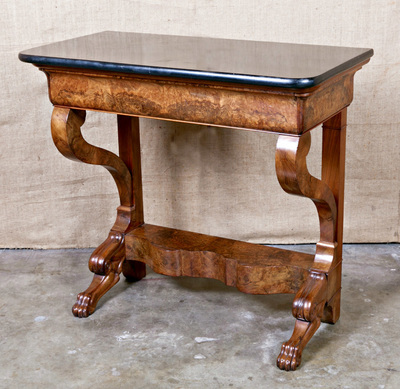 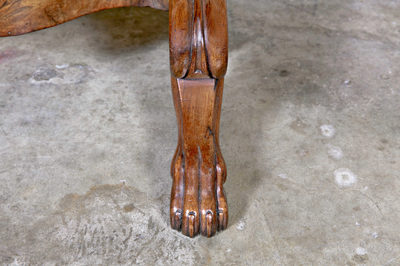 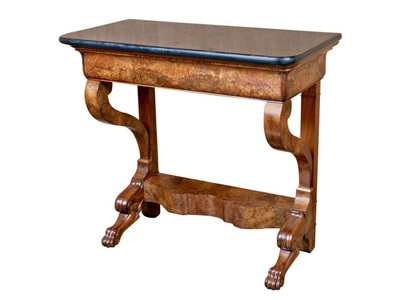 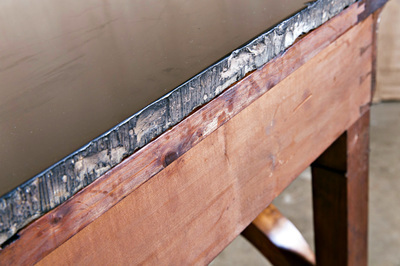 Elegant French Charles X period console handcrafted in solid walnut with book matched burled walnut. 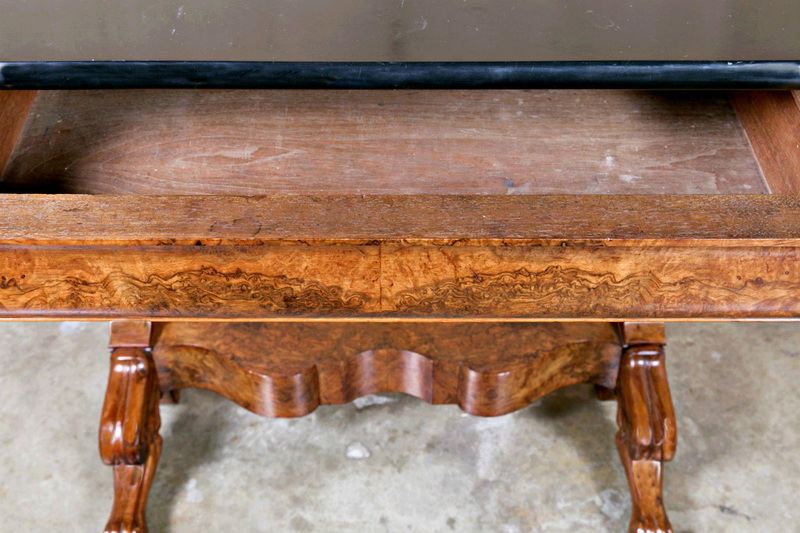 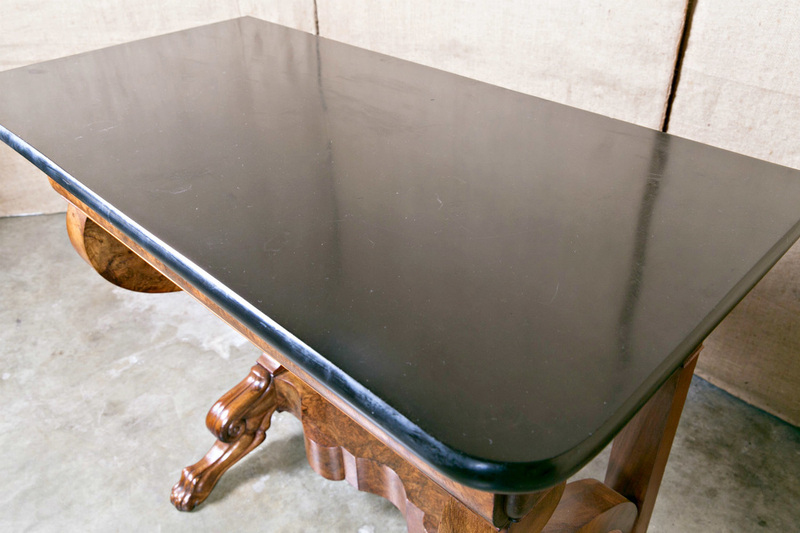 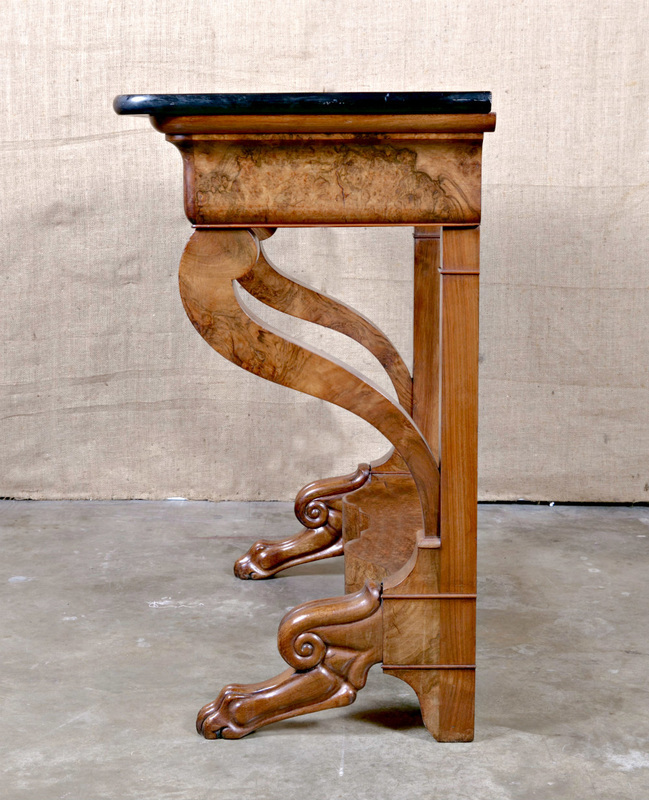 The original absolute black marble top sits above a single doucine drawer flanked by scrolling columnar supports terminating in paw feet and joined by a thick serpentine shelf. The graceful curves and simplicity of this console allow it to work with traditional and modern decors. Charles X, also known as the comte d'Artois (Count of Artois), took the throne after the fall of Napoleon. Brother of Louis XVI and Louis XVIII, he was the last of the French rulers from the senior branch of the House of Bourbon. 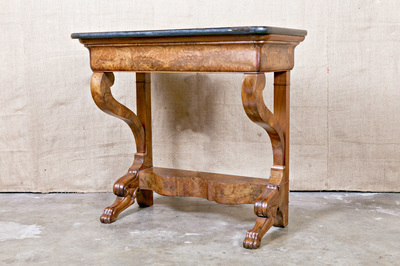 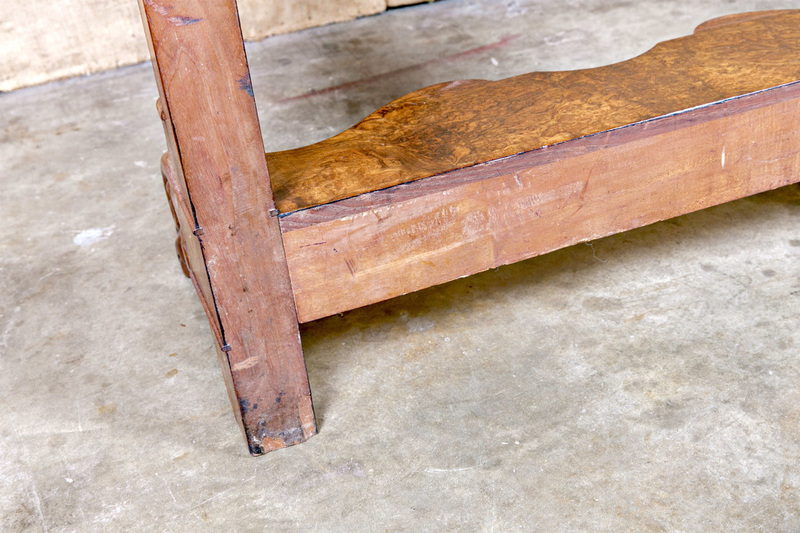 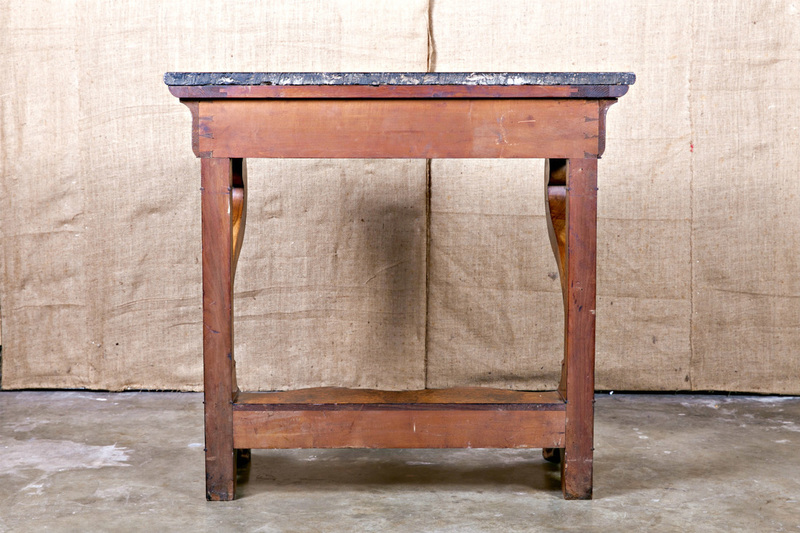 During his reign, French furniture transitioned from overly ornate, bold and geometric to more comfortable and simple, while still maintaining sophistication, as evidenced by this console table. He was succeeded by Louis Philippe, Duke of Orléans.